The "Southbaltic WebLab" and the UNESCO "Baltic Sea Project" keep the tradition alive and run another Science Camp. New Hands-on offer and teacher guide! Have you ever asked yourself how the salinity and pressure is messured in water? Read more … New Hands-on offer and teacher guide! Only a few days before Christmas holidays start the Leibniz-Institute for Baltic Sea Research (IOW) has a special gift for the students of the CJD Christophorusschule at hand. Press Release: WebLab scientist was appointed deputy ambassador to promote science education! 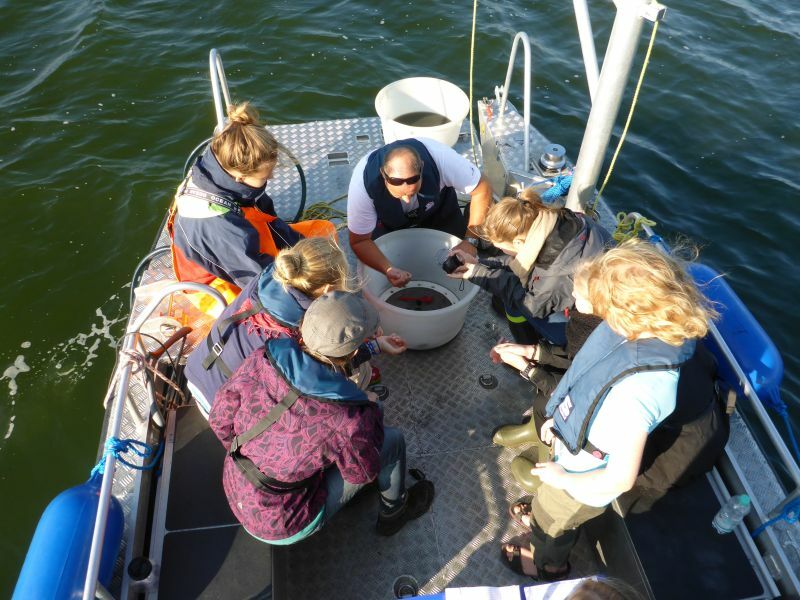 Project scientist Dr. Sven Hille from the Leibniz Institute for Baltic Sea Research Warnemünde (IOW) was appointed deputy ambassador by the EU funded Scientix project for the academic year 2013-2014. Read more … Press Release: WebLab scientist was appointed deputy ambassador to promote science education! The South Baltic WebLab was invited to display project results in the frame of the „South Baltic Edutainment Event“ in Danzig, September 18th.